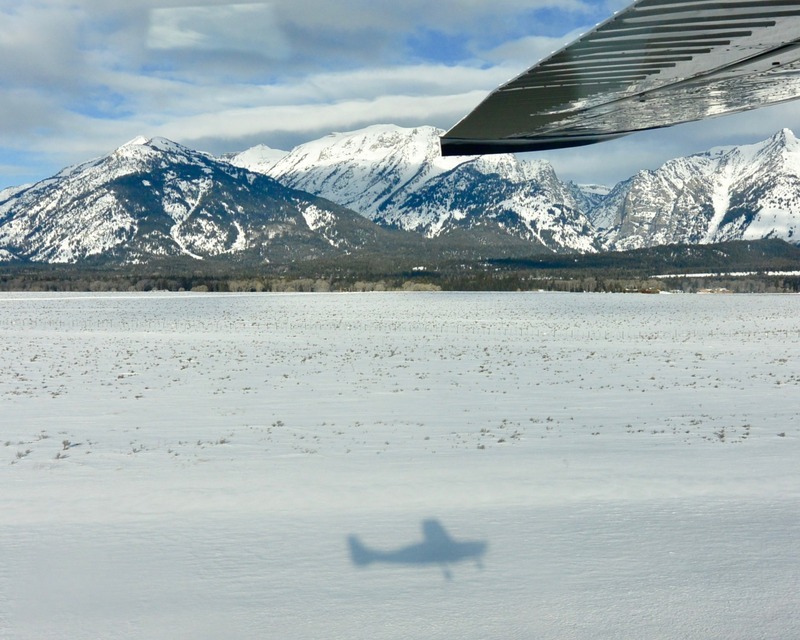 We recently had the incredible opportunity to be whisked away by FLY JACKSON HOLE on a scenic tour of the beautiful mountains and valley we get to call home. 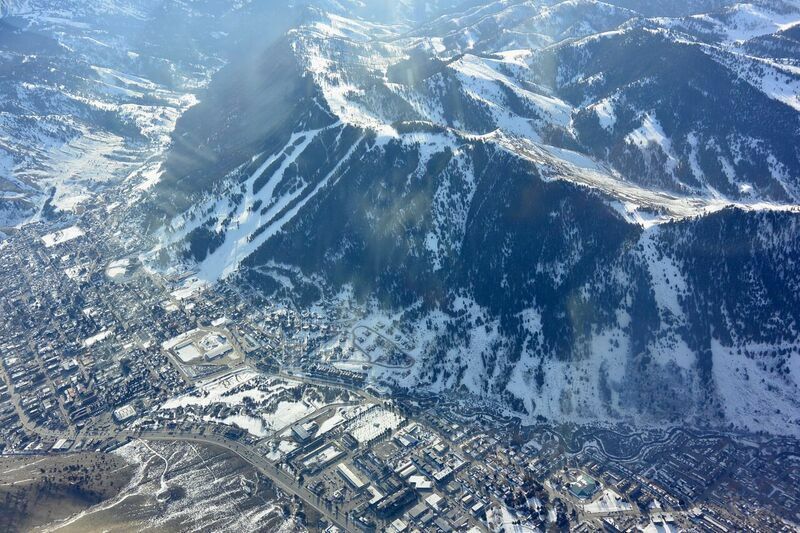 Peter Lindell, co-founder and owner of Fly Jackson Hole, met us at dawn to tell us a little bit about our journey and then it was time to take flight! 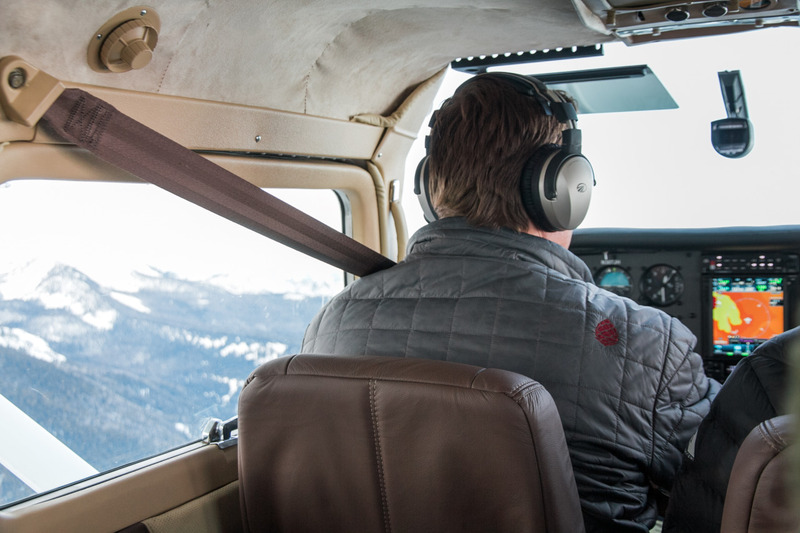 The 7 passenger Cessna T207A Stationair 8 has an inviting interior and enough legroom even for the taller folks. 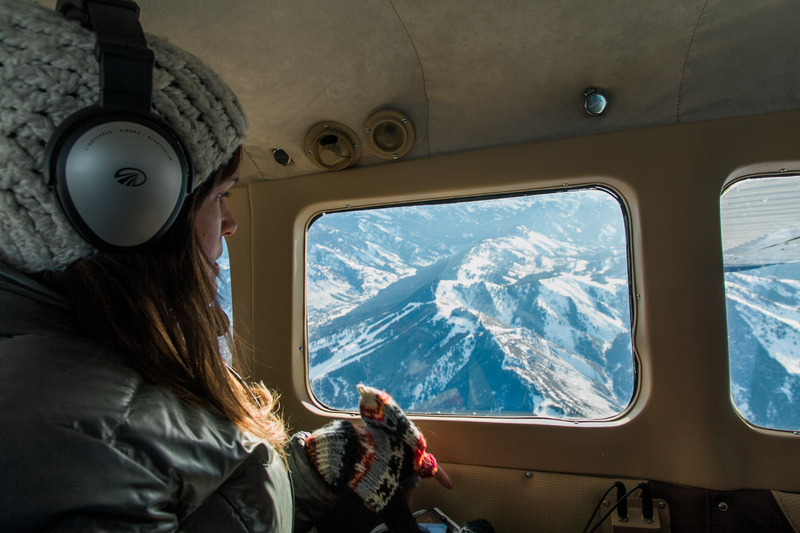 Each of the six passengers on our tour had their own window – providing a front-row seat to the boundless views of mountains, as far as the eye can see. Peter provided us with commentary for the ride – pointing out mountain ranges, rivers, lakes and the many other landmarks along the way. The ride was breathtaking, exciting and SMOOTH! 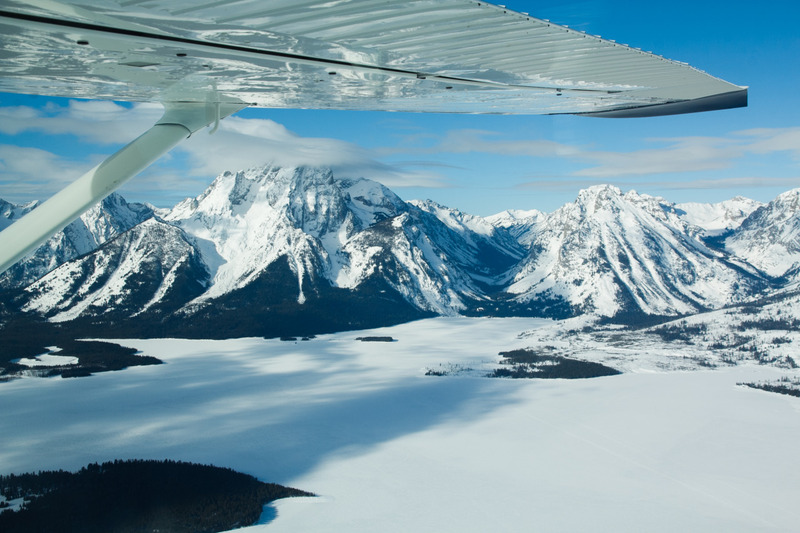 You would never know you were in a small 7 seater – the aircraft delightfully glided through the wide open skies and even take-off and landing were pillowy soft. 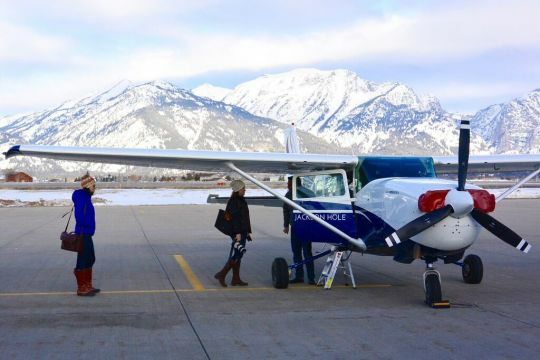 Chose your flight experience from the options at FLY JACKSON HOLE and make your adventure even more special! 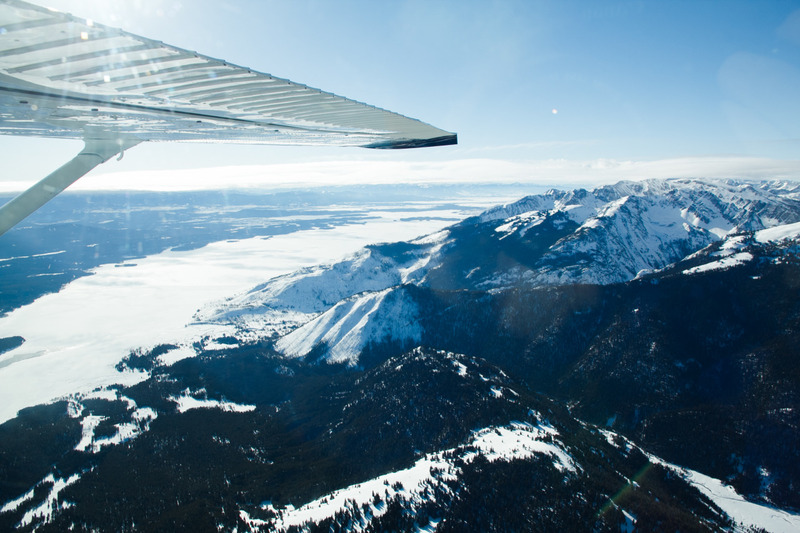 This truly is an exceptional way to see Jackson Hole and we can’t wait to go again!